Palestinian Authority (PA) Chairman Mahmoud Abbas has suggested that NATO would be left in charge of the future Palestinian state instead of an army. 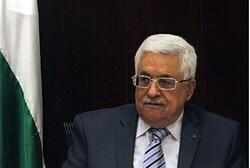 Speaking to The New York Times from Ramallah, Abbas said that he would agree to let Israeli troops remain in the Palestinian state for a transitional period of five years to work with Palestinian and Jordanian security forces and reassure the Israeli public that it is not going to get hit with thousands of rockets, as was the case after the “Disengagement” from Gaza. Last week, Abbas indicated that he would agree to have Israeli troops remain in Judea and Samaria for only three years, rejecting an idea by U.S. Secretary of State John Kerry to have Israeli forces remain for 10 to 15 years. After the five-year transitional period, he told The New York Times, the Israeli forces could be replaced indefinitely by an American-led NATO force, with troops throughout the territory, at every crossing and within Arab eastern Jerusalem, along with Palestinian Arab police and security units. The NATO forces could stay “for a long time, and wherever they want, not only on the eastern borders but also on the western borders, everywhere … For a long time, for the time they wish. NATO can be everywhere, why not?” said Abbas. The comments come as peace talks between the sides continue, and as Kerry is preparing to present his framework for the talks. Last week, Thomas Friedman, who also conducted the New York Times interview with Abbas, published some details of Kerry’s plan which, he said, will call for a phased Israeli withdrawal from Judea and Samaria based on the 1949 lines, with “unprecedented” security arrangements in the strategic Jordan Valley. The Israeli withdrawal will not include certain settlement blocs, but Israel will compensate the Arab side for this with Israeli territory. The deal will call for “Palestine” to have a capital in Arab eastern Jerusalem and to recognize Israel as the nation state of the Jewish people. It will not include any right of return for Palestinian refugees into pre-1967 Israel, Friedman said. American Jewish leaders who were briefed by envoy Martin Indyk provided some more details of Kerry’s framework on Thursday, saying the agreement mentions a Palestinian state with borders based on the 1949 Armistice lines and with land swaps between Israel and the PA. 75 to 80 percent of the Jewish residents of Judea and Samaria would remain in their homes even after a permanent agreement. “Suppose by the end of nine months we got something promising. Shall I stop? I will not stop. If, after nine months, we didn’t get anything, if there is nothing on the horizon, we will stop,” he said. Asked about Netanyahu’s insistence that he recognize Israel as a Jewish state, Abbas said, “This is out of the question.” He added that Jordan and Egypt were not asked to do so when they signed peace treaties with Israel.